Designing and building the finest instruments: Mr. Jerzy Drozd devotes each day of his life to this ideal. The result: masterpieces widely recognized for their peerless technical perfection and jewelry grade beauty. Unique creations with such superior sound, comfortability, light weight and responsive touch that they enchant the most demanding players. Those whose dream is to own and play the finest musical instrument, these are our clients. To order a bespoke JERZY DROZD creation, please address to our Client Adviser by e-mail. 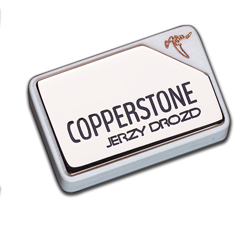 We will gladly advise you on all aspects required: which series and model is the best for you; what wood species are a perfect match for the sound qualities you are looking for; we will even assist you in your choice of finishes and options that undoubtedly will make your JERZY DROZD a completely personal instrument. Shipping is complimentary on orders in Spain and Europe. Directly from The Castle to your home with no extra costs. Thinking of your comfort, JERZY DROZD organizes the transport of the acquired creation and manage all formalities as well as export-related tasks. As always, JERZY DROZD strives to manage its shipping costs outside Europe closely and minimize shipping price while maintaining our commitment to exceptional client service.